Tuberculosis (TB) kills more people than any other infection, with an estimated 1.7 million people worldwide dying from it every year. 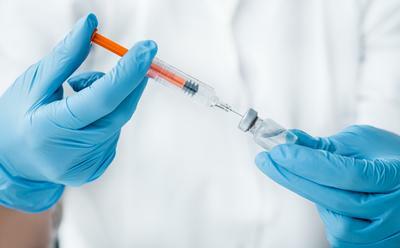 The airborne disease is becoming increasingly resistant to antibiotics, but despite 20 years of intense global efforts no effective vaccine has been developed. The study combined cellular immunology with synthetic and computational chemistry, and used synthetic lipids developed at Bangor University’s School of Chemistry. 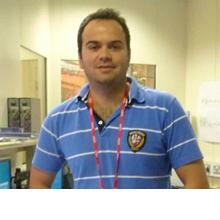 Dr Salah Mansour is Principal Research Fellow within Medicine at the University of Southampton. He leads a research group that employs a multidisciplinary approach to study the biological functions of CD1 molecules and their presentation of lipid antigens to T cells. This has broad relevance to human diseases, including tuberculosis, cancer, and autoimmune conditions. His interest into antigen presentation started with a PhD in Immunology at Professor Ping Wang’s lab at Barts Medical School, Queen Mary University of London, based on studies that focussed on the MHC class I antigen presentation pathway. After a short stint in industry, Dr Mansour joined Professor Stephan Gadola’s CD1 research group in Clinical and Experimental Sciences, Faculty of Medicine, Southampton in 2008. He has led translational and basic immunology studies on CD1 antigen presentation that aim at understanding the role of iNKT cells in the early stages of human autoimmune diseases and the molecular basis of Group 1 CD1 antigen presentation to human T cells in cancer and infection. Dr Mansour’s current research program integrates chemistry and biology approaches with clinical medicine to develop new therapeutics and diagnostics to improve human health. He has developed strong collaborations with computational and synthetic chemists, structural biologists, and with tuberculosis and cancer clinicians. He also has strong links with Public Health England Porton Down (Dr Sally Sharpe), King’s College London and The Francis Crick Institute.